We need your help in restoring Italian American civil rights across America! 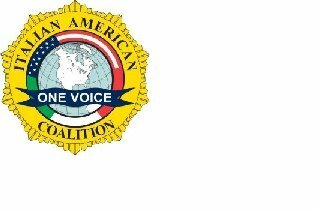 My name is Dr. Manny Alfano, president and founder of the Italian American One Voice Coalition. We are a nationwide network of activists that combat discrimination and negative stereotyping. Over the past several years, cities, school boards and universities across America have fallen victim to authoritarian policies of renaming Columbus Day or seeking removal of monuments of Christopher Columbus. In addition, these policies have also encouraged the desecration and destruction of monuments as many of us have seen in the last 12 months. We believe this legislation of hate are blatant violations of our civil rights and deserve to be challenged. Millions of Italian Americans celebrate this holiday as part of their culture and have done so for many decades. It is a proud immigrant symbol and statement of inclusion into American society. Before the monuments were erected and holiday celebrated, Italian Americans were victims of extreme violence and discrimination. We do not seek to revisit those times. When elected officials use government power to strip an ethnic group of their civil rights, it is unconstitutional and therefore requires grassroots action. Please donate, share and spread the word because our civil rights matter and are worth fighting for.